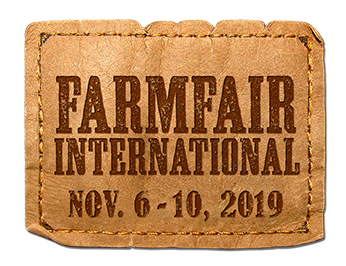 Farmfair International and Heritage Ranch Rodeo media accreditation is reserved for broadcast, print and radio media on specific assignment to cover the events on the Edmonton EXPO Centre grounds. Accreditation for independent production companies and freelance photographers will be assessed and approved on a case-by-case basis. Northlands will not approve any accreditation requests for commercial videography/photography. Northlands reserves the right to request proof of intended coverage including a letter of assignment from your editor and previously filed stories. Media Accreditation will be authorized at the discretion of Northlands and may be revoked at any time. Accreditation may only be collected by the party for whom the media accreditation is for. Valid photo ID must be presented upon request. Media must complete the Media Accreditation Form in order to receive accreditation. Accreditation must be worn at all times. Media must sign the Media Assumption of Risk, Release and Waiver of Liability form that will be emailed following submission of the application. A copy must be returned to the Northlands Communications team (media@northlands.com) in order to receive a media pass. Media are permitted to go into any public areas on site including the Edmonton EXPO Centre. Media will not have access to the barns unless escorted by Northlands staff. Media Accreditation form is now closed for 2018.